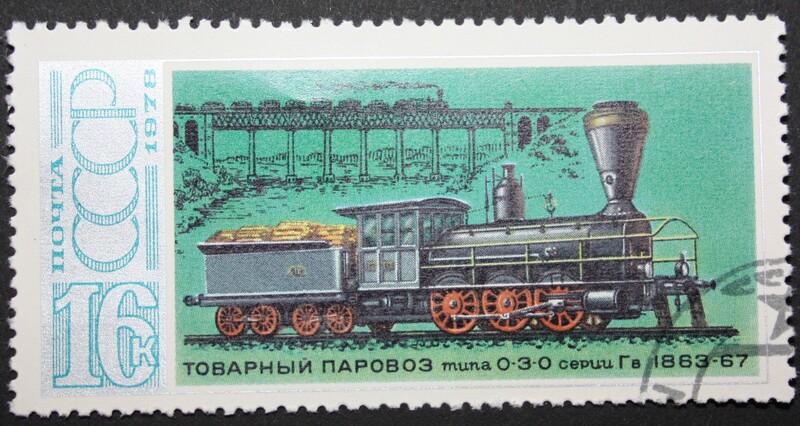 Soviet stamp of the series “History of the Russian locomotives”. Issued April 4, 1978. Print run 5,600,000. Size 65 x 32.5 mm. Comb 11 ¾. Multicolor offset lithography. Face value 16 Russian kopek. GODO-LUIS COLLECTION, free license with citation of authorship (profesorluisduran). Creative Commons Attribution.